As genomics is used more and supported by ever-more robust analysis and interpretation, its potential to offer a solution to diagnosing rare diseases is truly game-changing. I believe strongly and have previously blogged on the potential for genomics to shift the care paradigm for rare diseases, and here I’d like to detail in particular the huge potential value genomics can add to rare disease diagnosis. According to the National Institutes of Health (NIH), there are over 7,000 rare diseases affecting between 25 and 30 million Americans, which is nearly 1 in 10 people, making the overall prevalence of rare diseases significant. 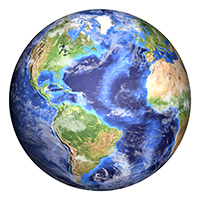 Rare diseases can be chronic, progressive, debilitating, disabling, severe, and life-threatening. When a patient presents with a spectrum of unusual symptoms, a costly scramble naturally begins to diagnose the patient’s disease. Some people refer to this diagnosis process for rare diseases as a “diagnostic odyssey,” as patients and their families are subjected to test after test while being handed from one doctor to another, oftentimes to medical centers far from their home. Too often, this odyssey yields no concrete diagnosis or—worse—misdiagnosis. The direct medical costs can be significant, and the indirect costs—the frustration and disillusion felt by the patients and the family—can be extraordinary. Jackie Smith, 35, spent the 32 years from age 3 unable to receive a correct diagnosis that could account for her weak limbs and turned-in ankles, despite seeing many doctors on numerous occasions. Indeed, Jackie’s parents were told to “take the 3-year-old girl home and enjoy her while they could”…”[her disease] would probably kill her before she was old enough to drive.” This past February, using genomic interpretation and analyses from Wuxi NextCODE, Claritas Genomics definitively identified her condition as centronuclear myopathy in less than three weeks. 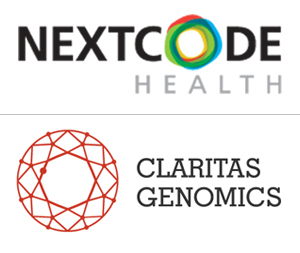 Claritas Genomics and NextCODE have established a collaboration to support rare disease clinical care. Combining robust sequencing with integrated diagnostic capabilities, the partnership aims to accelerate and augment the services provided to leading pediatric care organizations. Today we have a tremendous opportunity to use the data being generated from genome sequencing to address the mysteries of rare genetic diseases affecting children. Though these diseases individually are rare, according to Global Genes, an estimated 7,000 different types of rare diseases affect more than 30 million people in the U.S., roughly half of whom are children. To conduct diagnostic testing for pediatric genetic disorders, leading children’s hospitals are collaborating with specialized laboratories, including Claritas Genomics, a recognized leader in specialized pediatric genetic testing affiliated with Boston Children’s Hospital, part of the Harvard Medical School system. The real opportunity lies in the analysis of raw genomic sequence data to identify patterns or markers of a rare disease. 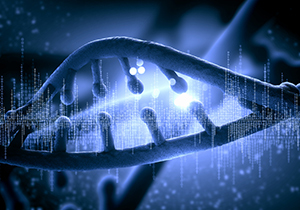 While it has been theoretically possible to use genomic sequencing to diagnose most rare diseases, a major hurdle has been in integrating dynamic informatics tools that can quickly interpret the data into accurate diagnostic insights and, ultimately, treatment options. 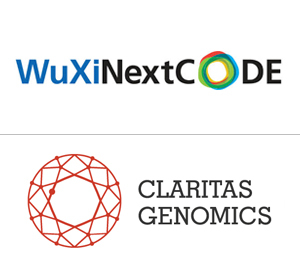 This is why Claritas Genomics and NextCODE have today established a collaboration, enhancing their collective capabilities to support rare disease clinical care. Combining robust sequencing with integrated diagnostic capabilities, the partnership will aim to accelerate and augment the services provided to leading pediatric care organizations. Claritas has established a wide range of tests for genes known to be associated with pediatric disorders, which NextCODE is integrating into its clinical interface, resulting in accurate, reliable clinical reports. Learn more about NextCODE’s pioneering activities here. Enabling this rapid, integrated approach to genomics-based care for rare diseases holds great promise for the community and for the many families who are anxiously seeking answers to these mysterious diseases.